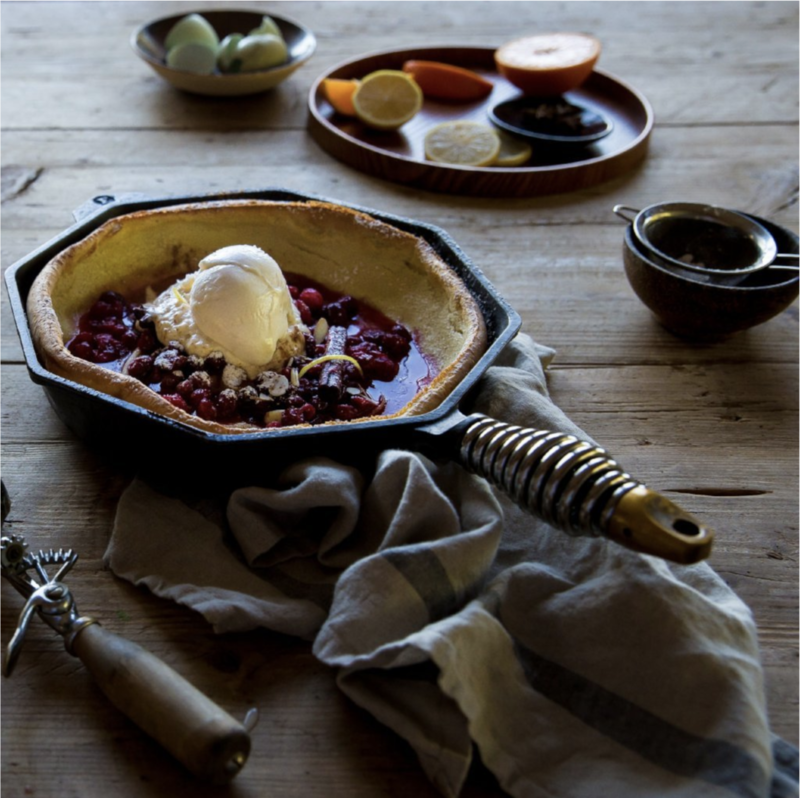 Recipe Provided by FINEX Cast Iron Cookware. Get more recipe inspiration here. Preheat oven to 425°F. 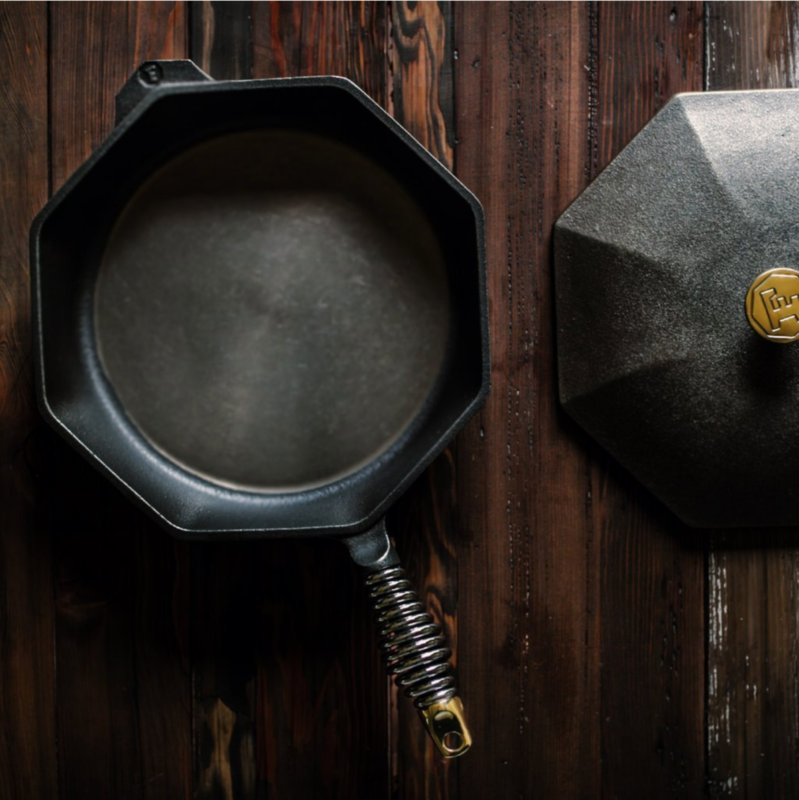 Once the oven is fully heated, place your FINEX 10-inch cast iron skillet in the oven to heat for at least 25 minutes. While the cast iron skillet heats move to step 2.
whisk eggs until very light and fluffy. Add milk, Butter Infused Olive Oil, flour, herbs, zest, salt, and pepper, and gently whisk until smooth. The cast iron skillet will be very hot. Place 1 Tbsp butter in the pan to melt. Once foaming ceases, pour the batter into the hot pan. Immediately return the pan to the oven and bake until puffed and set, about 20 – 25 minutes. Slice leeks into 1/4-inch thick rounds, white and light green parts only. Cut off bottom fourth of asparagus and discard. Cut remaining asparagus into 1/2-inch pieces. 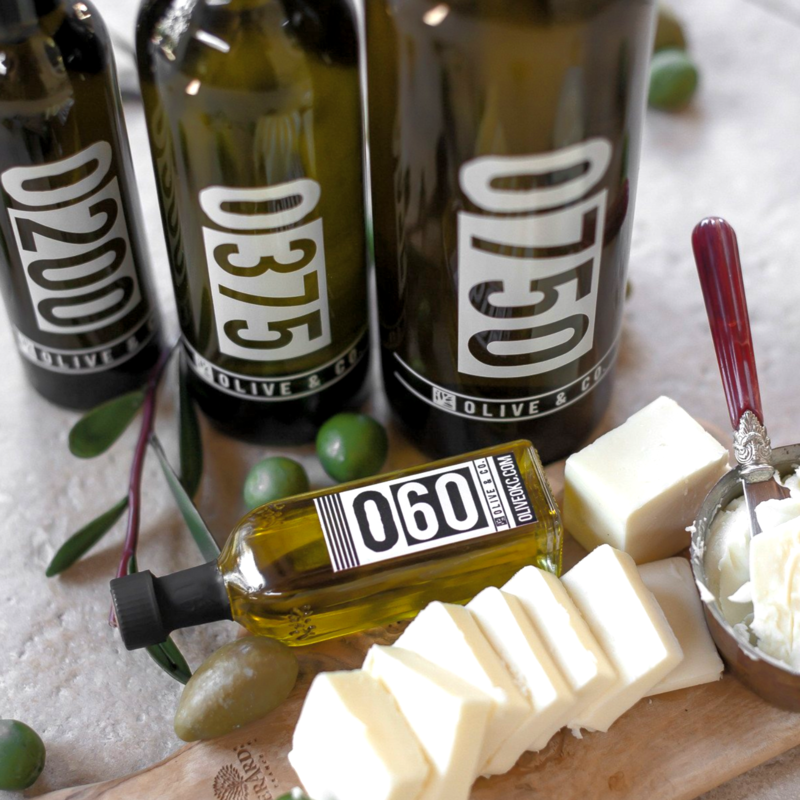 Add Butter Infused Olive Oil to skillet and bring to medium heat. Add leeks and asparagus. Season with salt and pepper and sauté, stirring occasionally, until soft and vibrant green. Set aside. Fry three eggs and set aside. 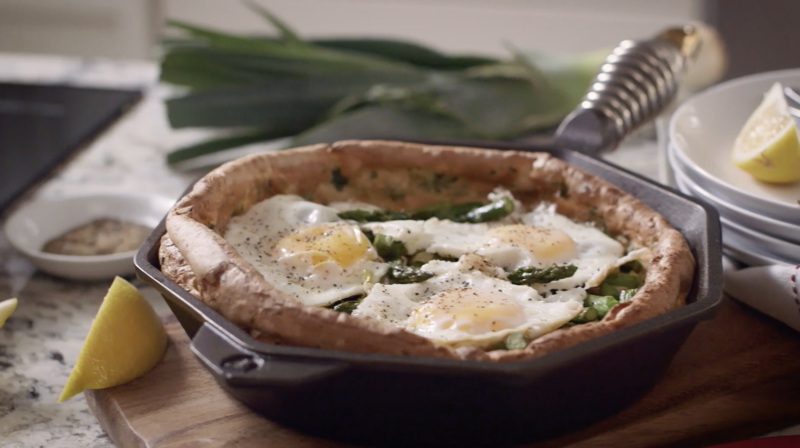 Carefully remove the Dutch baby from the oven and decorate with sautéed leeks, roasted asparagus, and fried eggs to serve. Bon appétit! 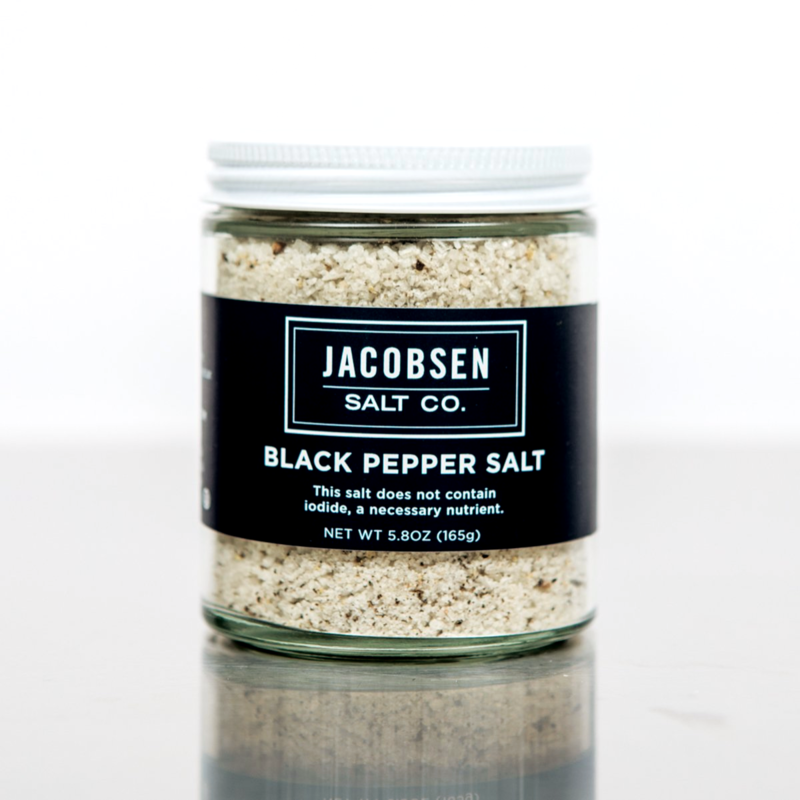 This salt’s warm, floral spice is perfect for dishes like salt & pepper squid, steak-frites, or baked potatoes with butter, sour cream, and chives.